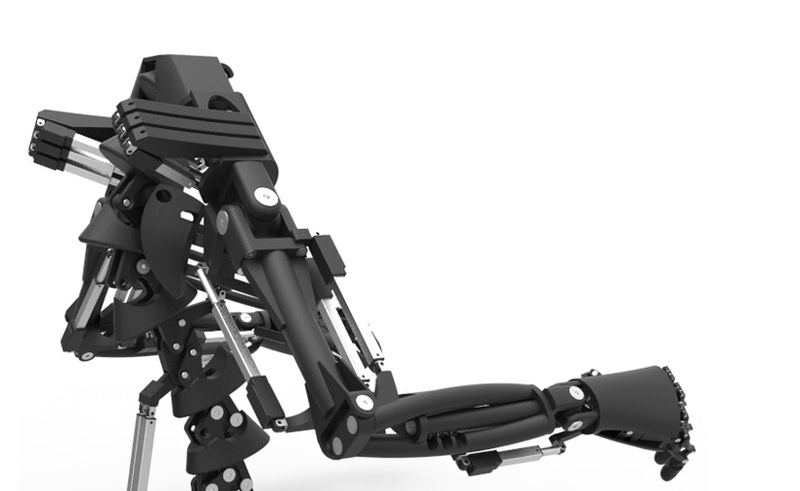 youbionic has come up with an interesting way to promote its 3D-printed, robot-controlled, bionic arms by attaching them onto a robot-controlled, bionic dog. 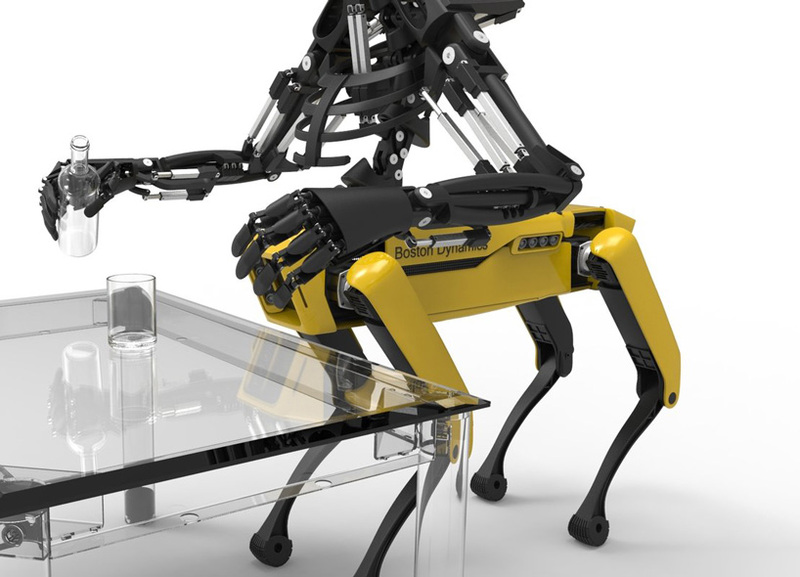 perfect for the role is spotmini, the quadrapedal model designed by boston dynamics that designboom began writing about in 2016. since then we have been impressed by its robust nature and ability to walk up stairs, and even open doors. 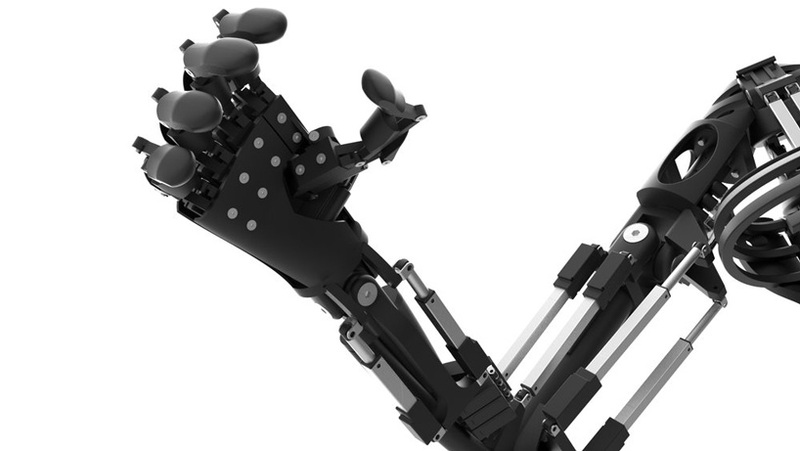 youbionic began working on its bionic prosthetic hand in 2014. since then the italian company has been making improvements and updates to the original model, even coming out with a 3D printed double hand device for the augmented human. 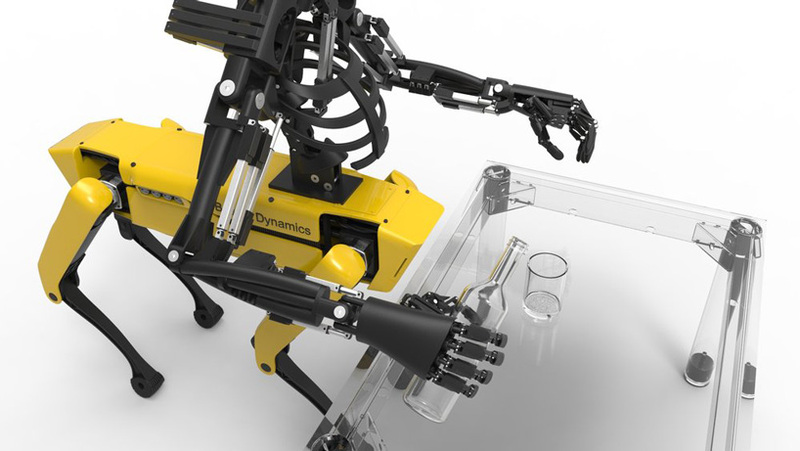 now, youbionic has released its latest bionic product – the youbionic one, a pair of artificial arms that can be purchased as an STL file and 3D printed at home. the purpose of the device is to make the users life easier by helping them perform tasks via remote control or independently. by modifying and customizing the files before 3D printing, the functionality or size of the device can be personalized so that it perfectly fits the user’s lifestyle. 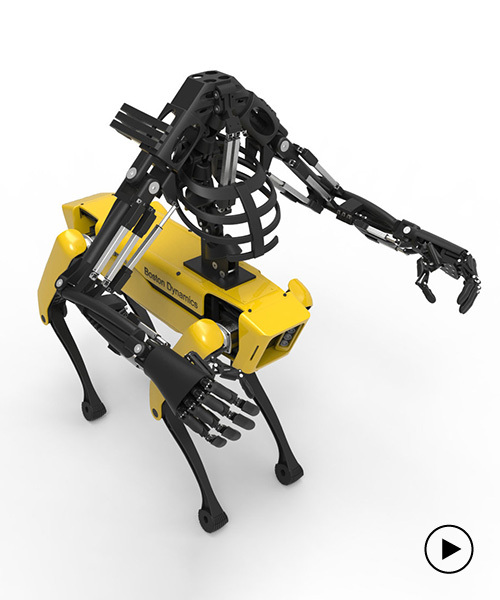 to demonstrate the level of customization that can be achieved with the 3D printable device youbionic has partnered with advanced robotics company boston dynamics to modify its latest offering. 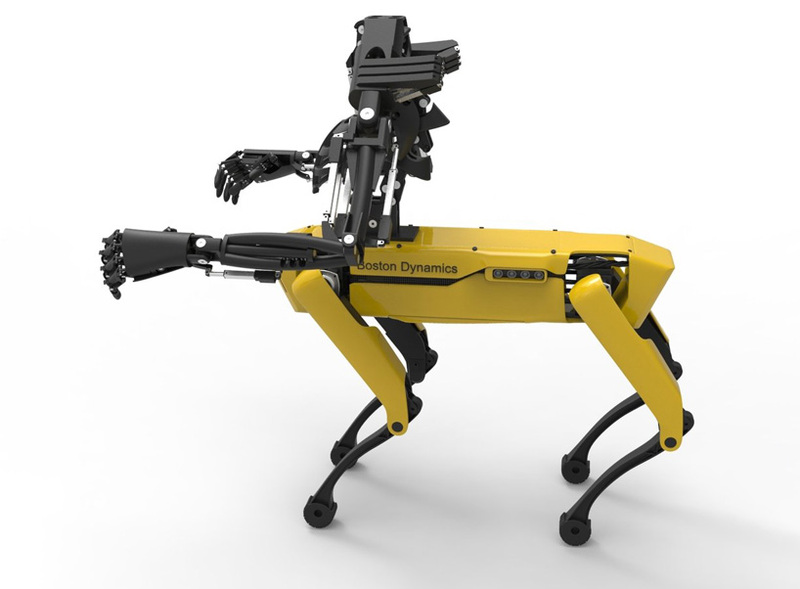 the result is a half-human, half-animal, all-robot hybrid version of the company’s spotmini robot dog. 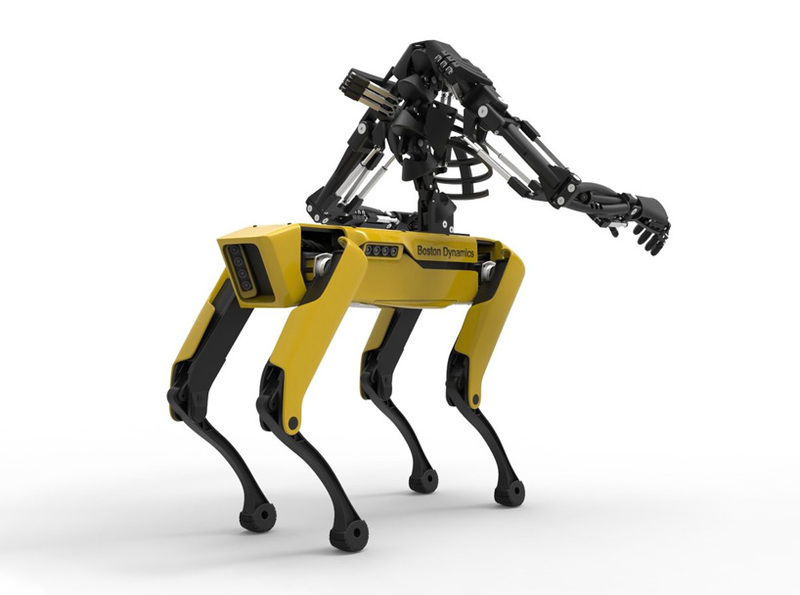 the four-legged spotmini robot is a 25kg robot with 17 joints and the strength to carry a 14kg payload. 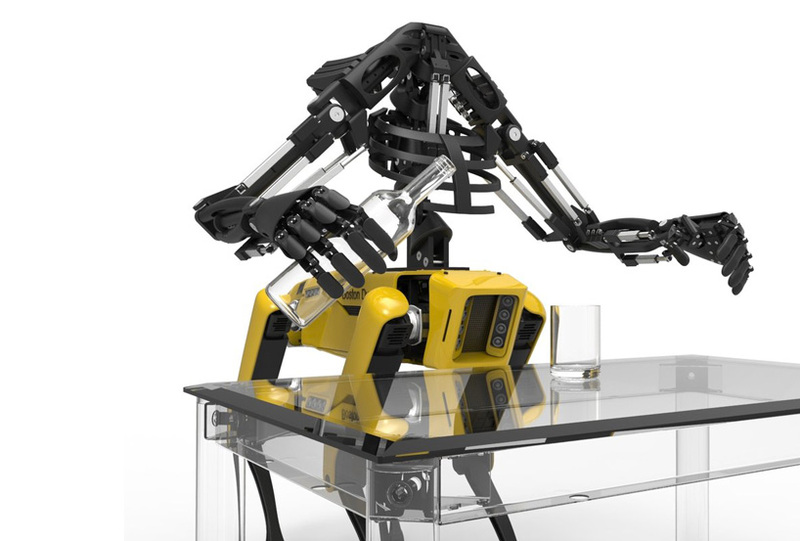 its complete with a 3D vision system and has roughly 90 minutes on a charge, depending on its use. as mentioned before it is capable of climbing stairs as well as handling objects, a feat more impressive now its equipped with a pair of hands. it also has some new features including a perception sensor suite featuring depth and stereo cameras to help with mobile manipulation and navigation. 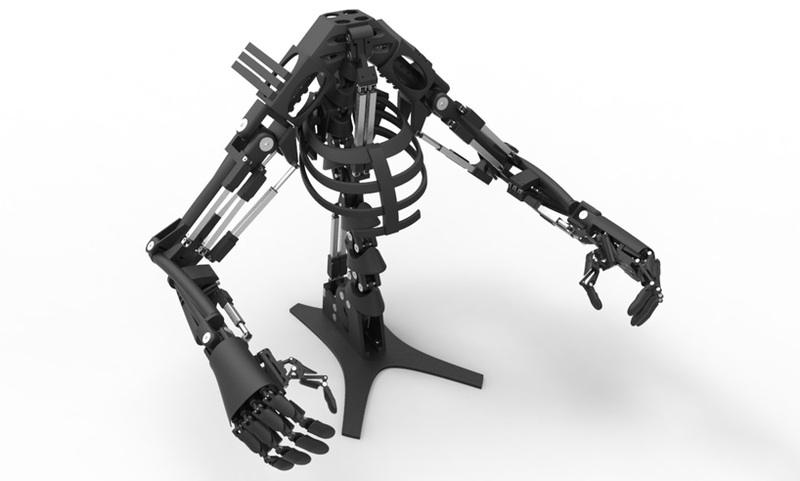 if you fancy creating your own bionic fusion the STL files for 3D printing the youbionic one can be purchased on the comapny’s website for $179.